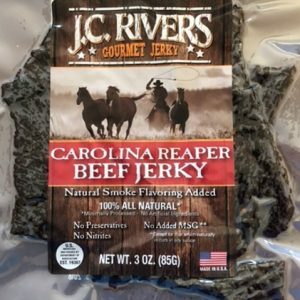 Dahlonega Jerky Co. Tender Steakhouse Teriyaki Brisket Jerky is made for Steak Lovers! Each of our Steakhouse recipes captures the taste and tender meaty chew of a classic steak. 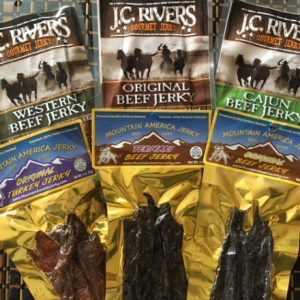 If you enjoy the experience of a succulent steak from an Asian steakhouse, then Teriyaki Brisket Jerky will satisfy your craving! 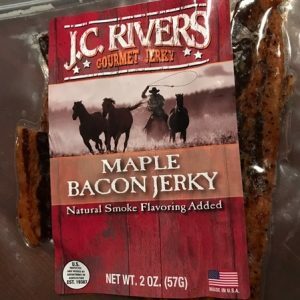 It is a soft easy to chew jerky, made in small batches. Each tender slice is hand cut from beef brisket, then marinated in a mellow teriyaki seasoning and slow cooked to a moist tender jerky. We NEVER add preservatives, MSG, or nitrites. Ingredients: Beef Brisket, teriyaki sauce, wine, sugar, water, vinegar, salt, spices, onion powder, succinic acid, garlic powder, brown sugar, honey, Pineapple juice, liquid smoke, garlic, onion, black pepper.